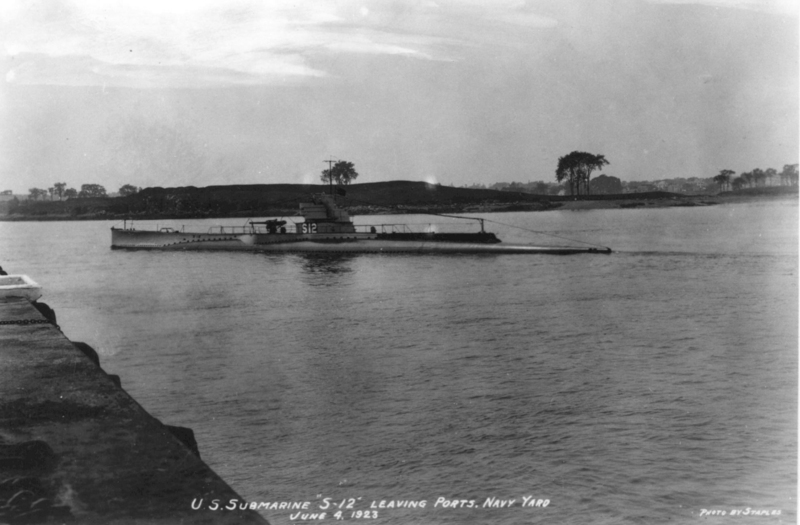 S-4 Class Submarine (Government-type): Laid down, 8 January 1920, at Portsmouth Navy Yard, Portsmouth, N.H.; Launched, 4 August 1921; Commissioned, USS S-12 (SS-117), 30 April 1923; Decommissioned, 30 September 1936, at Philadelphia Navy Yard, Philadelphia, PA.; Laid up in the Reserve Fleet; Recommissioned, 4 November 1940; Decommissioned, 18 May 1945, and struck from the Naval Register, 22 June 1945, at Philadelphia Navy Yard, Philadelphia, PA.; Final Disposition, sold for scrapping, 28 October 1945, to Rosoff Bros., New York City, NY, resold to Northern Metals Co., Philadelphia, for scrapping. 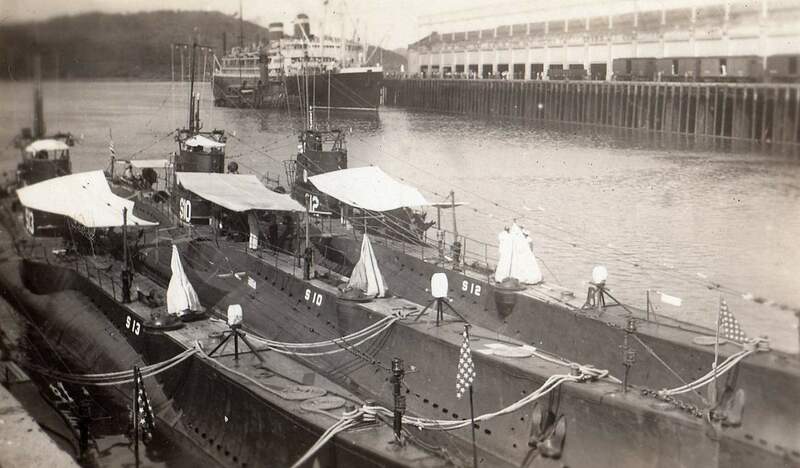 137k S-12 (SS-117) just after launching 4 August 1921, at Portsmouth Naval Shipyard. USN photo courtesy of ussubvetsofwwii.org. 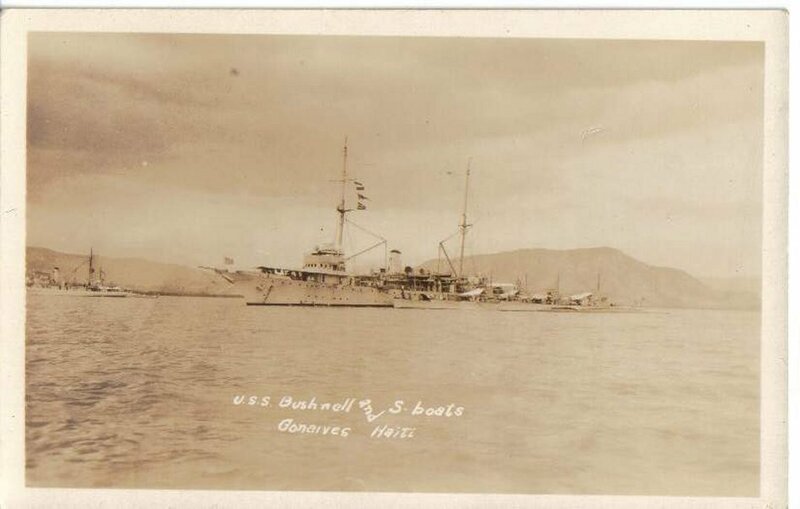 S-12 (SS-117); and an unidentified Government type S-boat. 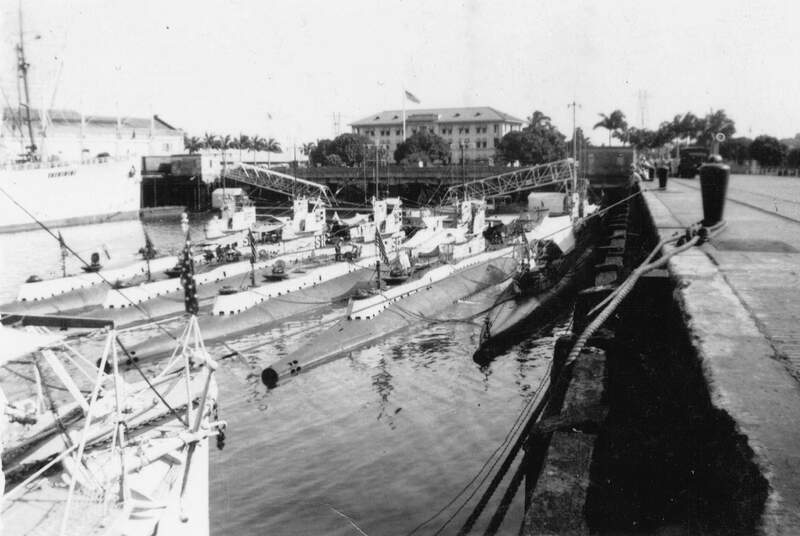 S-3 (SS-107). U.S. Naval Historical Center Photograph NH 100459.Collection of Vice Admiral Dixwell Ketcham, USN. 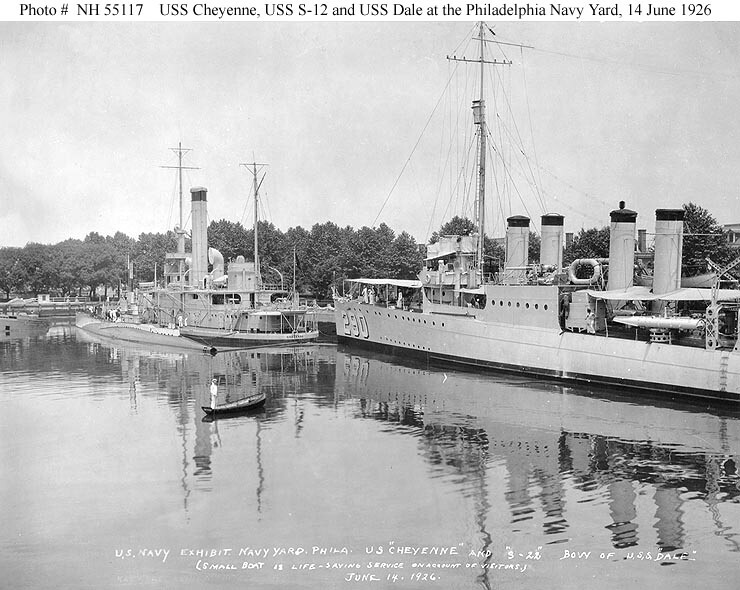 120k Cheyenne (IX-4), inboard at left; S-12 (SS-117), outboard at left; and Dale (DD-290) at the Philadelphia Navy Yard, Pennsylvania, 14 June 1926, during the National Sesquicentennial exhibit there. The small boat and Sailor, in the foreground, are on life-saving service to protect exhibit visitors. U.S. 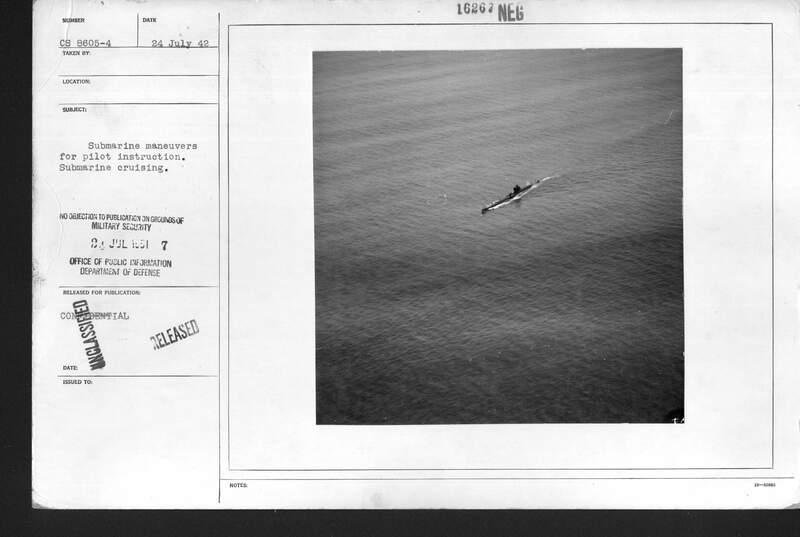 Naval Historical Center Photograph NH 55117. 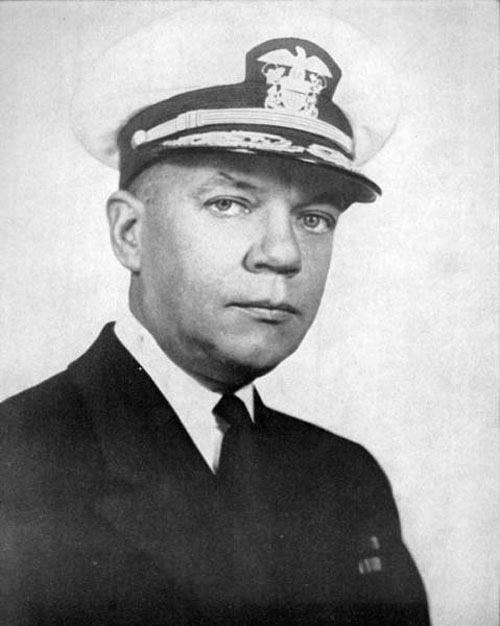 Collection of Vice Admiral Dixwell Ketcham, USN. 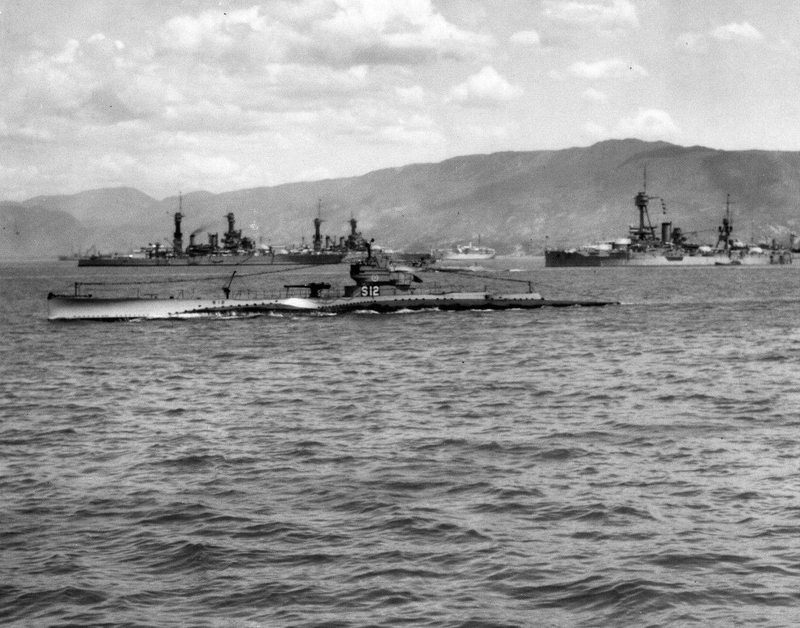 917k S-12 (SS-117) with US fleet at Haiti, spring 1927. 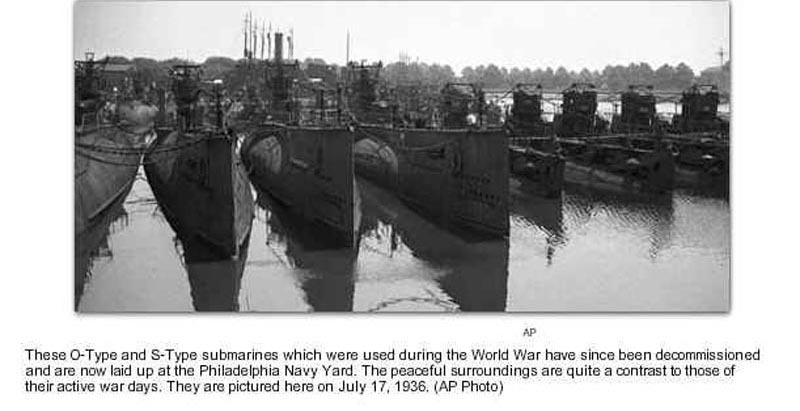 A Wyoming class battleship appears on the right. Photo courtesy of David Wright. 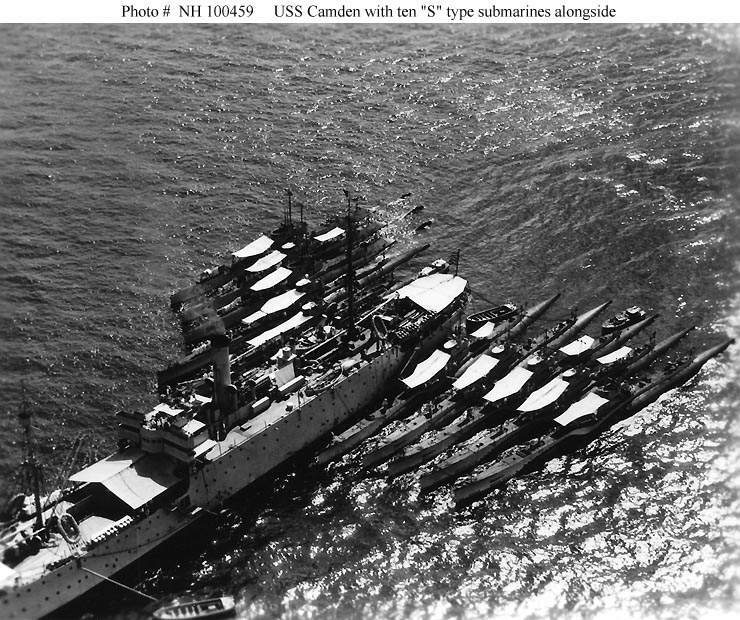 56k S-12 (SS-117), shown about 1941, was one of four government S-boats S-10-13 (SS-115-18), redesigned by Portsmouth Navy Yard to carry a torpedo tube aft. Structural detail has been included in this drawing to suggest the complexity of the C & R design, which made it extremely difficult to maintain. The V-1-class (SS-163-65) had similar complex structures. Drawing & Text courtesy of U.S. Submarines Through 1945, An Illustrated Design History by Norman Friedman. Naval Institute Press. 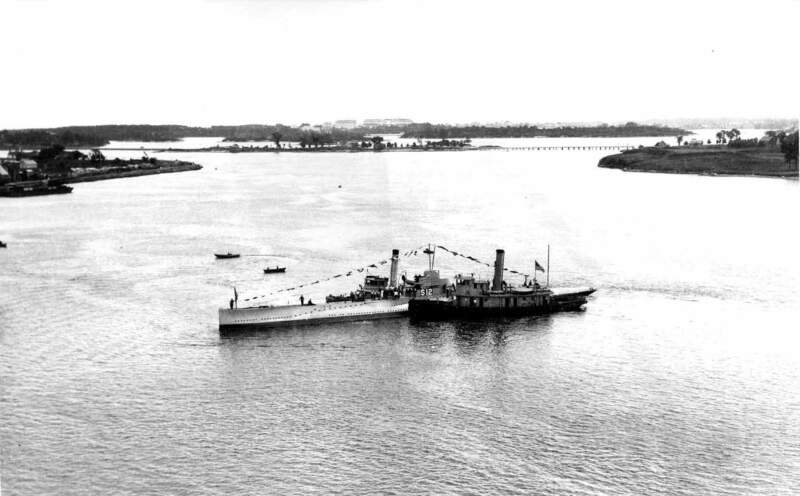 1.01k S-12 (SS-117) leaving the Portsmouth Navy Yard, Kittery, Maine, 4 June 1923. USN photo courtesy of Scott Koen & ussnewyork.com. 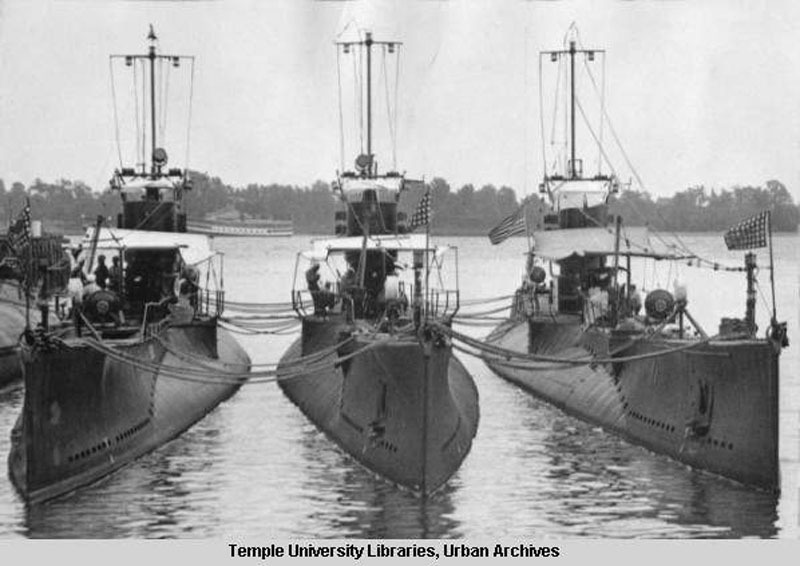 89k Submarines S-12 (SS-117), S-11 (SS-116) and S-13 (SS-118) out of commission in Navy Yard, 30 June 1936. Photo by Philadelphia Evening Bulletin courtesy of digital.library.temple.edu.